With multiple ways to fund a business, grants can be a convenient way to boost capital without losing equity or incurring debt. 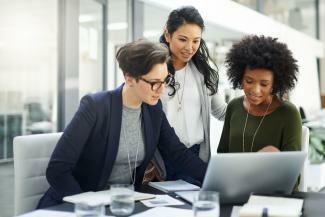 Finding grants specifically for women-owned businesses can feel daunting, but some funding resources are out there if you know where to look. A perfect example of women supporting women, the Eileen Fisher Women-Owned Business Grant was specifically designed to support female entrepreneurs who are creating social and environmental change. Eileen Fisher awards $100,000 in grants (minimum $10,000) for up to ten recipients each year. Recipients are invited to the firm's New York City headquarters for two days of learning and to celebrate. Businesses that have been operating for a minimum of three years are eligible to apply. Applicants will be evaluated on a variety of factors, including feasibility of business plan, integration of socially-consciousness practices, innovation, need and passion. The Tory Burch Foundation Fellows Program is an all-encompassing program to help female entrepreneurs in the early stage grow and scale. They provide ten Fellows with a $10,000 grant, three days of networking and workshops at the Tory Burch Headquarters, a year-long fellowship with the Foundation, and the opportunity to pursue a $100,000 grant investment. Public voting helps choose the Fellows from the 30 finalists initially selected. You will need to have been operating between one and five years and generating between $25,000 and $500,000 in revenue annually to be considered for this award. The Amber Grants for Women program was launched in 1998 to honor its namesake, Amber, who passed away at the tender age of 19 before fulfilling her dreams of entrepreneurship. WomensNet awards a $500 Amber grant monthly, with an additional $1,000 grant going to one of the year's monthly winners. While this amount may not seem like a lot, every bit counts when you are an entrepreneur. WomensNet doesn't just want numbers, they want you to speak from the heart, and say so in their application. If you apply, you will be required to pay a $7 fee to cover the cost of administration and application review. Proposals should empower women or help under-served populations in Utah and Idaho. Applicants do not need to be clients, nor do they need to reside in either state. Priority will be given to programs that support communities where Zion Bank has an established presence. The program highlights entrepreneurial collaboration between women and provides performance metrics. If you're a creative, the Girlboss Foundation Awards program is the grant for you. Awarded to women in design, fashion, business and the arts, each recipient will receive $15,000, in addition to exposure through digital channels. Grants are awarded two times each year. Applicants must demonstrate creativity, innovation, business acumen and forward planning, as well as financial need and a proposed timeline. The InnovateHER: Innovating for Women Business Challenge is a competition to discover innovative products that empower women and families, have potential for commercialization, and fill a marketplace need. Applicants compete at the local level for a chance to advance to the semifinalist stage, where ten finalists are picked to pitch their products to a panel of experts and compete for a total of $70,000 in prizes. Contact your local Small Business Administration (SBA) office to inquire about participating organizations. Winners of the Cartier Women's Initiative Awards program are referred to as Laureates. Multiple Laureates are chosen every year. Each selected individual receives a package that includes $100,000 in prize money, a six-day executive program, one-to-one business mentoring and more. Women committed to growing their initiatives significantly in the coming years are encouraged to apply. This worldwide program is open to residents of any country. Anxious to help change the world through activism, political change and empowerment? Look no further than the Open Meadows Foundation. Seeking to promote equality and justice across gender, racial and economic barriers, Open Meadows awards grants under $2,000 to projects led by, and that benefit, women and girls. Small and start-up organizations will be given priority. 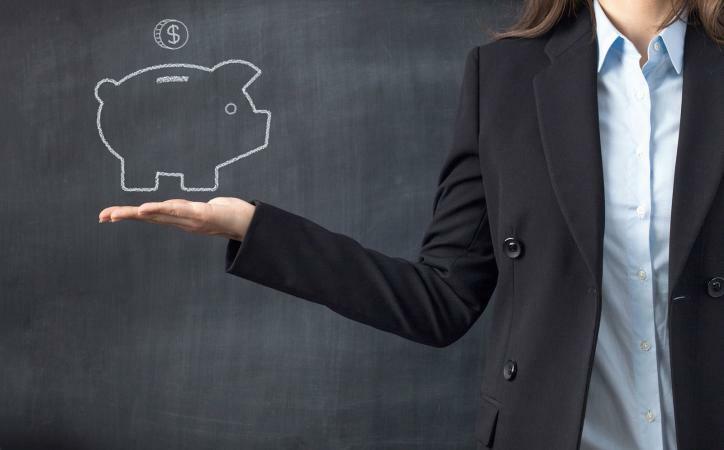 Organizations with budgets in excess of $75,000 are not eligible. Only online submissions are accepted. National Association for Women Business Owners: Providing a wealth of resources and information for female business owners, NAWBO was established in 1975. It is the only dues-based nationwide organization representing the interests of women who own their own companies across all industries. SBA: The SBA is an independent federal agency created to counsel, aid and help protect the interests of small businesses nationwide. The organization has multiple connections to resources for female entrepreneurs and business owners. WeVenture: Powered by the Florida Institute of Technology, WeVenture strives to provide female entrepreneurs with a range of programs and services, from coaching to workshops. The group's goal is to help facilitate economic prosperity for women-owned business and the local economy. National Entrepreneurship Center (NEC): The NEC houses Prospera USA and the SCORE Center, among other organizations, and has attracted national attention for its ability to leverage the multiple resources that reside there. Its programs have been recognized nationally. Some great advice when submitting grant proposals is to start small, not to be too disappointed, and keep applying. It is important for women to think of business as a level playing field. Men tend to overestimate themselves regularly, so don't sell yourself short. The likelihood is that there are a lot of innovative companies vying for the same pool of money you've got your eye on. Don't worry! Be easy on yourself if you aren't awarded funding the first go around. Increase your odds of success by applying for all available opportunities.